This post is for the techie folks. Do you have a smartphone (iPhone or Android)? You are in good shape then, because there are some great mobile hearing apps that focus on hearing loss and hearing aids. 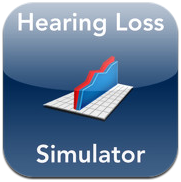 From sound amplification to captioned movie times, mobile device hearing loss apps provide a wide array of handy services for the hard-of-hearing. With so many choices available, we have rustled up a list of some of the best hearing test apps on the market. Nonetheless, no hearing aid app can replace a modern hearing aid, just like the ones brought to you by Audicus Hearing Aids. uHear lets you test your hearing anywhere and at any time with the push of a button. 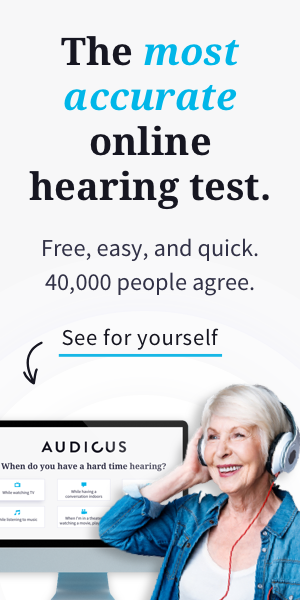 This hearing test app tests you for the quietest sounds you can hear and how well you hear speech in noise. 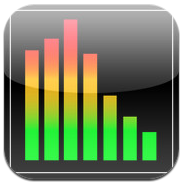 A built-in questionnaire helps you and the app assess the quality of your hearing. Once you have taken the tests, a results graph will rank your hearing loss from mild to profound and warn you if you are at risk of further damage. Designed by Donald Hayes, Ph.D. Director of Audiology for Unitron Hearing, the uHear app gives you easy-to-read, informed results. Keep in mind that the results are indicative only and you should still consult a professional if you suspect you have hearing loss. 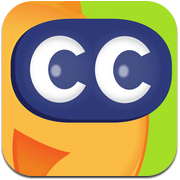 Particularly ideal for movie buffs, Captionfish helps you find captioned and subtitled movies playing near you. You can also find out whether the movie is open-captioned (the text is on the screen), rear-window captioned (the text is on the seat in front of you) or closed captioned (using a special system). 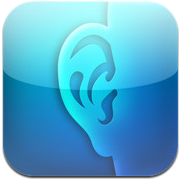 With this streamlined hearing loss app, you can find accessible movies within 60 miles of your area. At your command, the app will display movie times, synopses and theater locations, providing you with all the information you need to enjoy a night out. Captionfish even streams captioned movie trailers, so you know just what to anticipate. While we all know loud environments can hurt our hearing, sometimes we don’t know when those places are actually too loud. TooLoud can analyze the sounds in any given space, and let you know immediately whether you are putting your ears at risk. A live graph provides moment-to-moment updates on the noise level, so you can find the best spot to settle. If you are in an ear-shattering location, the app will alert you with a pop-up warning. SoundAmp R lets you use your mobile device like a hearing aid by amplifying sound and speech. Record lectures, presentations or conversations, then play them back with clear, loud sound. Additional functions allow you to bookmark sections of a recording for easy reference, and you can export the files straight to your computer. For the best results, you will need to use wired headphones and microphones. There is, however, one drawback to SoundAmp: the hearing aid app cannot amplify music or phone calls. Purple Communications’ Video Relay Service (VRS) helps individuals who are deaf or hard-of-hearing make voice phone calls with American Sign Language. Using a video phone, you would simply sign to a qualified interpreter, who would then speak to whomever you called. The interpreter will then use sign language to communicate the response to you. VRS is a step up from text, as you can have a faster conversation, interrupt one another and use facial expressions. can someone tell how i can order the captel fone. the one that transmits voice to text. as i at am desperate to get one. There could be a hands free app for answering tel calls unless I have missed it! Why is there no application for sound amplification and equalization for the phone itself? Is this something only Apple can do? Most unfortunate that this accessibility feature has been ignored. There’s an app for that —Bioaid for iPhone and I believe it’s free. Check it out on the iTunes store. Thanks for the list. I think you could easily include the Audicus Ear Machine app to this list. 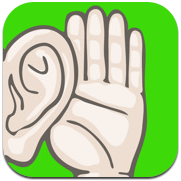 It is a good personal amplification app and the price is definitely right!